Regular edition of 91 handnumbered copies only. NO REPRESS. 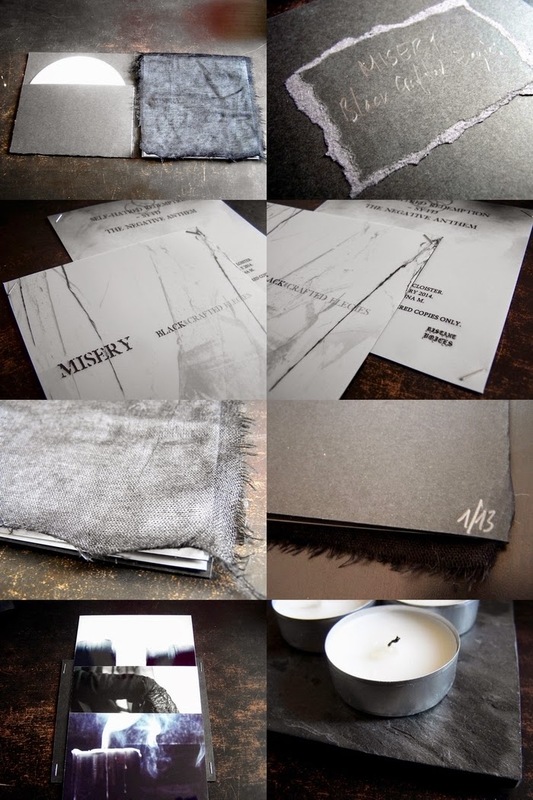 Misery's 4th album will take you into a deep journey of introspection. You will be enshrouded by the rawness of depressive black metal, hypnotized by the ambient and acoustic soundscapes, horrified by the breathtaking screams and the harsh melodies, surrounded by repetitive bleak atmospheres, all leading to a solely contemplation. The music of Misery has evolved and has now reached a new dimension of isolation and violent beauty. Although information on Misery is scarce, it does not require a particularly attuned imagination to deduce what might have inspired the project's fourth full-length offering. Whether at the peak or relative nadir of the genre's musical quality, you would be hard-pressed to find depressive black metal that did not, to some extent, advocate surrender to the psychic attrition of depression. Moreso than any other subset of metal, depressive black metal hinges on the success of its atmosphere, and its ability to evoke (or at least reflect) those feelings of gloom in the listener. As a reviewer, it is at once perhaps the most intuitive, and most challenging sort of music to critique. All but a few I've heard in the genre could be deemed interesting by another style's standard, and most of it could serve to bore the nards off of anyone who doesn't feel the atmosphere. Misery is no exception. This is depressive black metal through and through, but unlike so much music that shares the label, it is completely void of a sense of catharsis. Where some DSBM approaches the relative sonic extremity as a way to exorcise feelings of negativity, Misery counts among the smaller number of bands that choose to propagate them. Amidst the indistinct and garbled howls, the monotonous drum loops, the endlessly repeating, treble-heavy riffs and sprawling minimalism that encompass the three 'black elegies' here, there is little to say beyond the certain impression that the band's name was fittingly picked. There is precious little to distinguish the three pieces from one another. One slogging fifteen minute piece will give way to another, without so much distinction as a few seconds respite between tracks. In any other context, this would-be recipe for boredom would be a death knell for the album, but this is depressive black metal we're talking about. The absence of dynamic and variety creates an impression of static motion; time is passing, but nothing really changes. To anyone who has suffered the torments of depression before, this paradigm should feel readily familiar. It is interesting to note that, while the feeling of somnolence never shakes, repeated listens to Black Crafted Elegies reveal hidden details and patterns that feel like they should have been instantly apparent from the first spin. While there are still not nearly enough layers to warrant enjoyment independent of the album's subjective atmosphere, nooks in the arrangement (like a plucked acoustic guitar behind the wall of lo-fi fuzz) go a long way towards giving Black Crafted Elegies unexpected replay value. Misery possess an admirable capacity for atmosphere, and the added subtleties give Black Crafted Elegies a more enduring depth. Even so, such a barebones and minimalist approach will limit its appeal to all but the most zealous followers of depressive black metal. Projects of this sort are many, and without so much as a memorable riff to tell Misery apart from the rest, little impression of Black Crafted Elegies survives outside the album's 47 minute span. Distant Voices are a very young label from France, formed in Autumn 2012, but for sure it is a special one. It has to do with the musical direction, i.e. a mostly underground-oriented kind of grim, depressive, ambient, melancholic and / or atmospheric Black Metal, which I do adore. But there are more labels that do so. What this label makes so distinctive from any other, is the care and time the crew takes for each single release. All of them are made with fine, soft paper in order to deliver a unique creation; let’s call it a total-package for combining wonderful aural excellence with visual art. It’s rather evident, as you do understand, that every release is limited to a small edition, evidently. In this case, we’re talking about a limitation to ninety one hand-numbered copies, once again with no repressing afterwards. The inlay is printed / drawn on transparent, so-called traced paper, stapled on black 200g-paper, once again with sober yet beautiful artwork. Bon, the project and this release then… Misery hail from Toulouse in the South of France, and were formed by Thomas ‘Fille de Misère’ Bel in 2005 as a Dark Ambient project. After two demos (2009 and 2011) and the debut full length Messe Interdite (2011) (all of them self-released), Thomas started adding Black Metal elements, yet initially without betraying the Dark Ambient-laden roots. The Miséricordes-tape was the first within this direction, and Lore, also released on cassette only, continued that path. Both of them, by the way, were released via Drone / Ambient-label BLWBCK, located as well in Toulouse. Then Misery signed to Distant Voices, which did result in the release of two recordings in 2013, For The Loss Of Ghosts and Mélancolie. Both EP’s were released in a very limited edition, just like this new full length. It was recorded during spring 2013 at Rapas Cloister, mixed at the end of that year, and mastered in early 2014. Black Crafted Elegies consists of three tracks (Self-Hatred Redemption, -SYTD and The Negative Anthem), two of them lasting for fifteen minutes, and one clocking seventeen minutes. These three compositions continue where For The Loss Of Ghosts and Mélancolie did end, but with even more intensity and introspective elegance. This project’s Depressive Melancholic Black Metal is of an extremely raw character, caused by a production so grim and thorny. But this sound is absolutely superior. Not only it is the sonic translation of such Aural Art; it strengthens the atmosphere of desperation and hate. 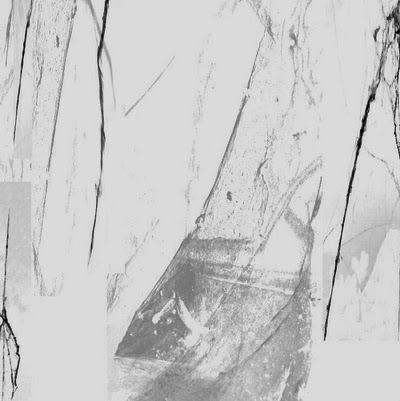 The Dark Ambient / Drone elements have almost completely gone right now, though the oppressive sphere, which is the ultimate relation in between both genres, remains as obscure and cold. Most excerpts are rather slow to mid-tempo, and of the repetitive kind when it comes to the melodic structures. Here too repetition means hypnotic, bleak, suffocating. And there is no chance to fall into boredom, despite the repetitiveness and the long average duration, for the compositions vary a lot, i.e. there are additional excerpts with, for example, an acoustic basement. Besides, the vocals are utterly cold and venomous, penetrating your soul, piercing your spirit. A l'instar de bien d'autres âmes tourmentées, macérant dans le jus d'un Black metal dépressif, MISERY souffre de diarrhée créatrice le voyant multiplier les offrandes. Stakhanoviste, la créature se faisant appeler Fille de Misère qui se cache derrière ce projet, a déjà ainsi forgé près d'une dizaine d'efforts depuis 2009. Si certaines mauvaises langues ne manqueront bien entendu pas de souligner - à tort - que le style, par sa (fausse) pauvreté sonore, permet justement ce genre de frénésie artistique, l'entité mérite franchement mieux que ces basses médisances, ne serait-ce déjà que par sa capacité à toujours subtilement se renouveler, évitant de fait de s'embourber dans le syndrome d'un STRIBORG rétif à toute évolution. Comparer Black Craft Elegies au récent EP, Mélancolie permet ainsi de mesurer les nuances, véritables, d'un art moins figé qu'il n'en a l'air de prime abord. Alors certes, les invariants propres au DSBM sont bien alignés, comme des pinces à linge sur un fil, du chant hurlé perçant la nuit aux notes volontairement répétitives, des complaintes étirées au tempos pétrifiés mais MISERY possède une manière bien à lui d'agencer toutes ces composants obligés, débouchant sur un tertre singulier. Là où Mélancolie dégorgeait une froide et forestière beauté, sentant la terre et les feuilles humides, Black Craft Elegies se veut plus rugueux, plus minéral également, mais tout aussi passionnant et réussi. On touche d'ailleurs là du doigt cette magie de l'art noir suicidaire dont on croit avoir tout entendu et toujours capable néanmoins de faire frissonner l'échine quant il est l'oeuvre de musiciens sincères parvenant à capter ce feeling désolé aux allures de graal doloriste. Fille de Misère fait partie ce ceux-ci. Incontestablement. Il suffit par exemple de se laisser happer par l'inaugural "Self-Hatred Redemption", pour en avoir l'éclatante confirmation, plainte de plus de 17 minutes au compteur dont les riffs grésillants qui raclent la peau tel un scalpel rouillé confinent à une forme de transe hypnotique. Hurlant tout son dégout, toute sa haine, l'homme y installe un climat qui engourdi avant de vous plonger au fond d'un gouffre sans fin, il distille peu à peu son venin, empoisonnant l'esprit par son univers de décrépitude ("SYTD") qui n'est pas sans évoquer les travaux de TRIST par ses atours déglingués et maladifs. Sous une apparente et trompeuse monotonie, ces marches flagellantes sont émaillées de touches acoustiques, à l'image du terminal "The Negative Anthem" qui ne démarre vraiment qu'après de longues minutes endormies, nuit noire que déchirent des cris de désespoir. Elégie d'une noirceur contemplative, cet album est un gemme d'une beauté déchirantte, pierre supplémentaire de cet édifice mortuaire que MISERY fait chaque année sortir de terre un peu plus.